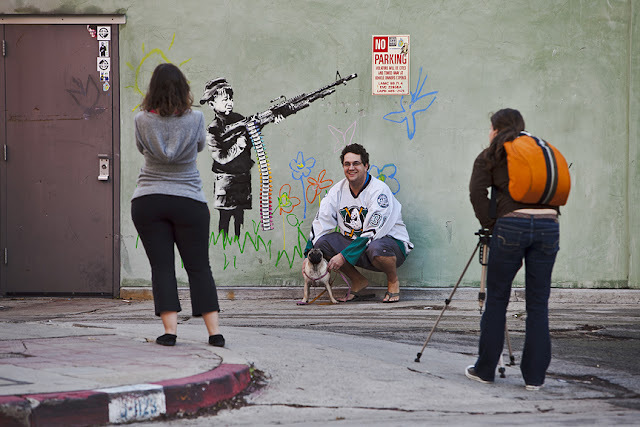 LA Photo: Banksy Bombs L.A.
Two pieces of street art created by controversial graffiti artist Banksy have appeared in Los Angeles today. 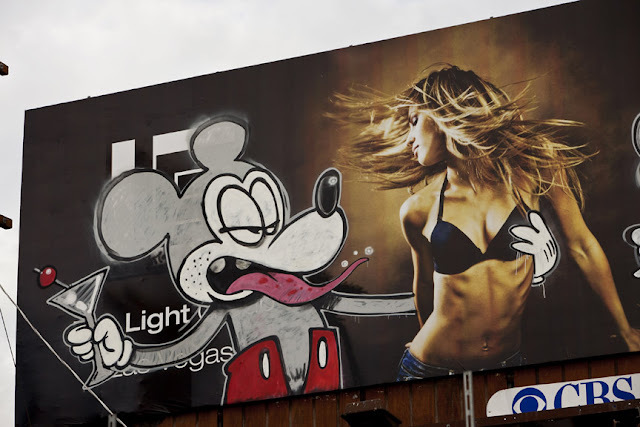 One piece depicts a drunk Mickey Mouse character with a coked out Minnie Mouse, partying with a super skinny model. The piece is entitled "LiViN THE DREAM," and is located across the street from the Director's Guild of America Building on Sunset Blvd. The other piece is a child like drawing of colorful flowers and sun, with a giant black and white child shooting a giant machine gun loaded with Crayola Crayons. It is located in the middle of Westwood. 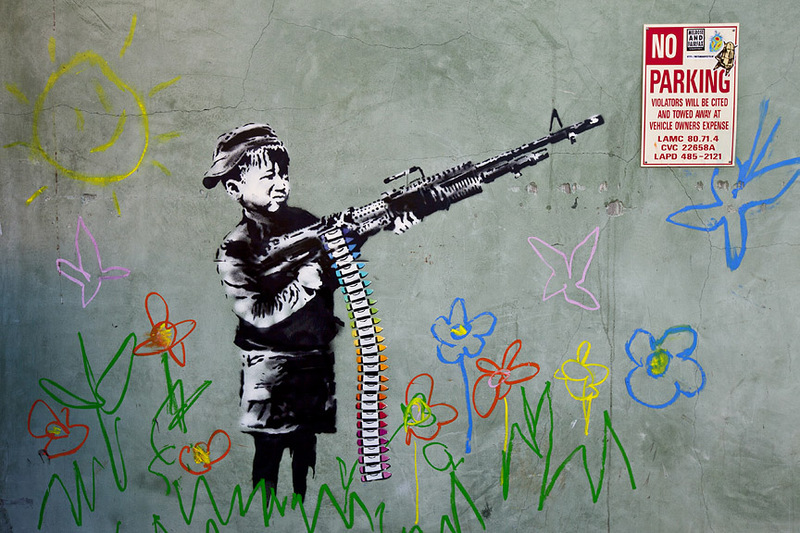 Banksy's movie "Exit Through The Gift Shop" is up for an Oscar. 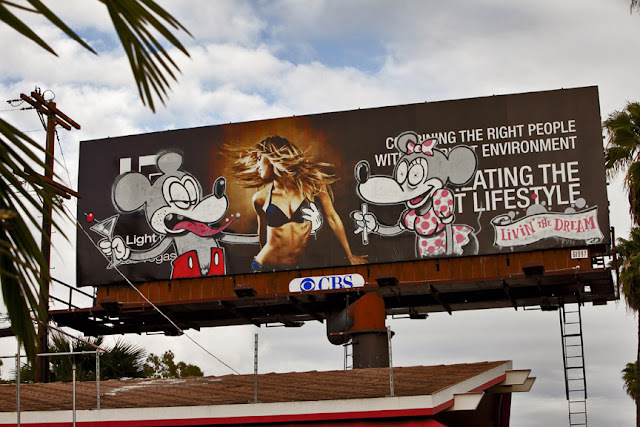 Banksy artwork "LiViN THE DREAM" near the DGA building. Detail of "LiViN THE DREAM."